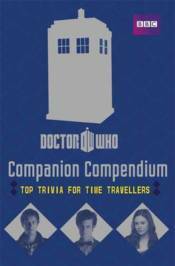 This is a "Doctor Who" trivia treasure trove of essential facts, space-time stats and all kinds of exciting alien information! Find out the Doctor's final words as each of his incarnations, learn alien battle cries and how to identify different types of star, as well as discovering all the Doctor's previous companions and how to tie a bow tie! This is a must-have miscellany of all things Doctor Who! Find out more about "Doctor Who" children's books at our associated website.